Ghana is the world´s second largest producer of gold. One of the places where mining has been more intense is in the municipality of Obuasi, in the Ashanti Region. There it is The Oubasi Gold Mind, one of the biggest in Ghana and the world, and nowadays closed since 2016 due to lack of profits. The mining had started there in 1897, under British rule and along the years, it has been accused of water pollution, land contamination and food insecurity. In fact, in 2011, AngloGold Ashanti was declared the worst company for bad corporate behaviour in Ghana in the Public Eye Awards. . In 2016 the Wall Street Journal (April 11 ) reported that in Ghana, AngloGold Ashanti Ltd., the world’s No. 3 gold producer, closed shafts at its Obuasi mine in late 2014, as the mine hemorrhaged cash amid sinking metals prices. Early that year (2016), hundreds of men broke through the 13-mile fence around Obuasi and started prospecting for gold there on their own". By 2018, the firm is considering to open the mine again, and has already received environmental permits from the authorities. 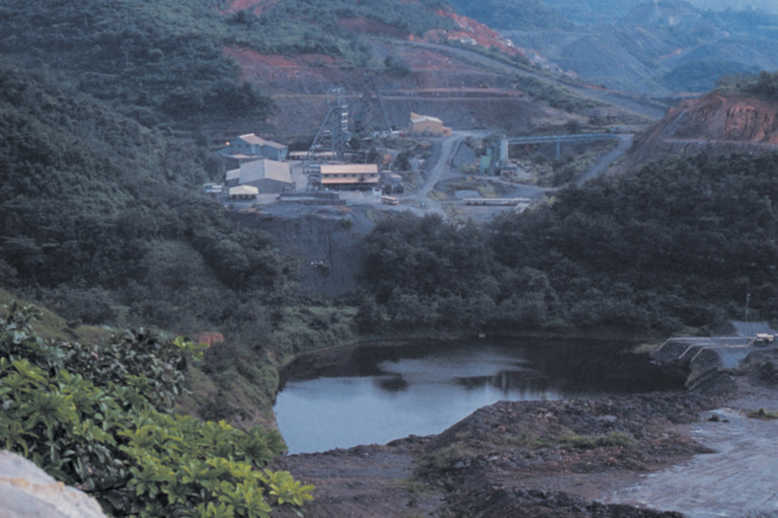 In February 2018 AngloGold Ashanti announced that it signed an agreement with the Government of Ghana to provide the framework for the redevelopment of the Obuasi Gold Mine, turning it into a “modern productive mining operation.” Under the agreement, which incorporates a development agreement, a tax concession agreement, a security agreement and a reclamation security agreement, AngloGold will invest $450 -$500m in bringing Obuasi back to producing and profitable mine operation. The Obuasi Gold Mine has been in “limited operating phase” since 2014, where it was decided that the mine operations would be significantly reduced due to falling gold prices and a prolonged period of significant losses. Project Details Anglo Gold Ashanti (AGA) is the actual name of the company, after registering 2004 in Johannesburg, South Africa. It is the result of the merger between the state owned Ashanti Goldfields Corporation and the South Africa Anglo Gold Mining Company. Nowadays,it has operations in ten countries all over the world, including of course the biggest productors in Africa -Ghana, Guinea, Mali, Namibia, South Africa, Tanzania- Latin America (Argentina, Brazil, Colombia), US and Australia. AGA is a subsidiary of the British mining giant Anglo American. The mining concession covers an area of about 47,5 ha, and 80 communities live in a a 30 km. radious of the mine. The forecast for the moment the mine reopens are to get a production of around 350.000 to 450.000 oz (gold ounze) in the first 10 years and a bit more, aroung 400.000 to 450.000 over the next ten, according to data published in the press. Long term ambitions for the mine will see an average production rate of around 350,000oz to 450,000oz over the first 10 years and 400,000oz to 450,000oz over the next ten. Relevant government actors Ghana’s Environmental Protection Agency (http://www.epa.gov.gh/epa) This Agency depends on the Ministry of Environment, Science, Technology and Innovation (MESTI); it is in charge of giving the environmental permits for the reopening of the mine. The Third World Network Africa http://twnafrica.org/indexx.html. Other Dwelleres have accussed the company of alleged brutality and serious human rights abuses against local "galamsey" (small illegal miners) suspects. The word "galamsay" is said to have been coined from the English "gather and sell". Development of Alternatives In 2006, Action Aid asked the company to take action on the water contamination, environmental damage, broken standpipes, and toxic flooding; provide adequate compensation for affected people for the toxic spill highlighted; cooperate with independent investigations into human rights allegations. They also urged the Government to enforce a more stringent water monitoring and pollution regime through the EPA, launch an inquiry into mining and health related problems in Obuasi n launch an investigation though the Commission on Human Rights and Administrative Justice into human rights allegations. Nothing of this happened then. The mine was closed on 2014 and is now ready to reopen without a real knowledge of what has to change. Why? Explain briefly. It wasn´t a success because the mine was closed down because of economic situatation, not for environmental reasons. There was remediation or compensation for liabilities during many years of mining until 2014. Now, the mine is about to open again and it's not clear what improvements they have done in the instalations in order to make it less damaging. Besides, there were no extra compensations to the villagers. Gold Rush: The impact of gold mining on poor people in Obuasi in Ghana. By Action Aid. An excellent report. 2006. Journal of Poverty, Investment and Development, vol 22, 2016. 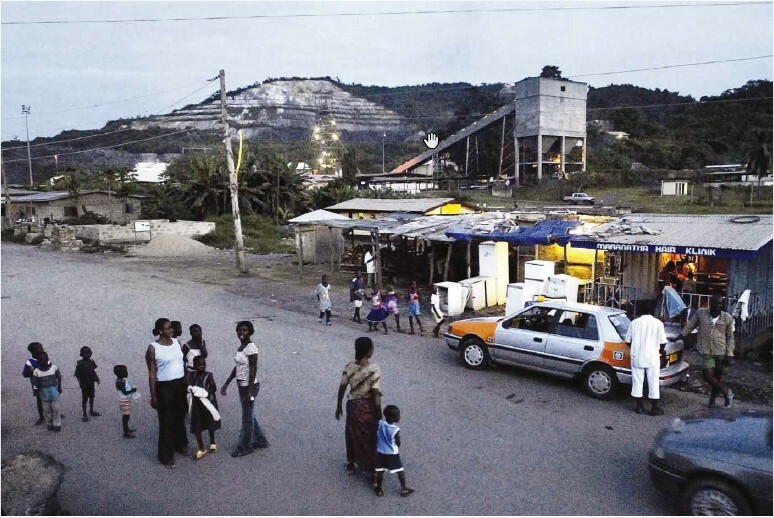 The Resilience of Mining Communities in Obuasi, as Anglogold Ashanti Shifts Position. By Augustine Yaw ASUAH and Prince Aboagye ANOKYE. [accessed Dec 21 2018]. Nicholas Bariyo and Alexandra Wexler (April 11, 2016). "Fortune Hunters Endanger Africa's Abandoned Mines Fights break out as the commodities rout forces mining companies to close shafts". The Wall Street Journal. "In Ghana, AngloGold Ashanti Ltd., the world’s No. 3 gold producer, closed shafts at its Obuasi mine in late 2014, as the mine hemorrhaged cash amid sinking metals prices. Early this year, hundreds of men broke through the 13-mile fence around Obuasi and started prospected for gold there on their own." AngloGold Mineshaft dominates Anyiman, a village next to Obuasi.